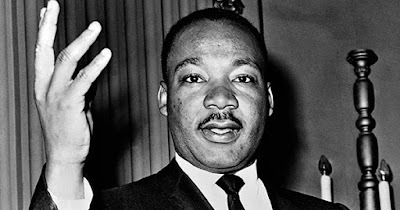 Dr. Martin Luther King, Jr. was the most amazing African American who led the Civil Rights Movement in the 1960's. Born in 1929 in Atlanta, Georgia, his primary goal in life was to advance civil rights for African Americans in a peaceful manner. Although his life was cut short in 1968, Dr. King left behind an impressive list of accomplishments that greatly impacted the world. #1 - In December 1956, Dr. King led the Montgomery Bus Boycott in Montgomery, Alabama, after Rosa Parks was arrested for refusing to give up her seat on a bus. The boycott lasted 385 days but led to the US Supreme Court ruling on December 20, 1956, that segregation on public buses was unconstitutional. #2 - Dr. King served as the first president of the Southern Christian Leadership Conference (SCLC) in 1957 and led the organization until his death in 1968. King founded the African American civil rights organization to support nonviolent protests for equality. The organization was an important stepping stone to the Civil Rights Act, signed into law by President Lyndon B. Johnson, in 1964. #3 - The speech that Dr. King delivered on the steps of the Lincoln Memorial, ‘I Have a Dream,’ was a turning point in American history for civil rights. His famous speech would later, in 1999, be ranked the top American speech of all time. #4 - Dr. King was the first African American to be named "Man of the Year" by Time Magazine. His picture appeared on the cover of Time in its January 1964 issue, recognizing him as a fearless leader who fought to bring equality in America. #5 - On October 14, 1964, when King was only 35-years old, he received the Nobel Peace Prize for leading non-violent resistance to racial prejudice in the U.S. He was the youngest recipient of the award at the time.